Our faculty will rotate between school age and preschool camps. The flow of the day will vary with the camp theme. We will explore concepts related to the weekly theme both indoors and outdoors. We ask that you send a backpack with changes of clothes and a lunch with ice packs. Our explorations and group decisions may take us on many adventures and it is important that your child's belonging can be contained and carried easily. We will provide hammocks and cots or mats for relaxation. These will be available as needed for older children who requests a nap, and used with the preschoolers daily. Our days will flow from periods of intense action followed by periods of more quiet activity such as puzzles, books and board games. We will explore in the large group of 12 and also have times when we divide in small groups. Our projects based on the themes will evolve in the Reggio way and deepen with the interests of the students. Please read the Summer Program Handbook. Thanks! Print this Contract and also fill this Student Information (if we do not have it on file already), and send them with your check for the deposit. The regular deposit (check or money order) is $100 for each camp and each child. We have an Early Bird discount until Valentines Day on the deposit, see contract above. Spaces are awarded on a first come first served basis in order that the deposit and completed paperwork are received. Thank you! Camps are full for the following weeks: 1,2,3,4,6,8. Please fill this form below and press submit to get on the wait-list. We have a few spaces left for camps on weeks 5,7,9,10 as of 4/2/19. Thank you, we will be in touch with you shortly! Summer Camps for students in two groups: 1- Preschool Camps for 3 to 5 years old, and 2- School age Camps for 6 to 10 years old. Offering 10 weeks in summer 2019! Themes for June, July and August are written below with descriptions. Each camp is a whole week long (5 days) and your child may enroll for one, many, or all of the camps. Some of the themes last 2 weeks but it is fine for a child to only do one or the other. The themes are the same for school age and preschool children, but the projects will evolve differently for each group. For 42,000 years, humans have been utilizing physics and natural materials to accomplish incredible feats. Projectile systems like the atlatl, the bow, and the catapult have changed the face of human history. How were the first ones made, and why were they designed? What purposes did they serve for the peoples that engineered them? How can simple machines made from nothing more than wood, string, and metal propel objects with such incredible force and accuracy? What exactly does it take to make one, and can their designs be improved upon? Come join us for an exploration of the anthropology of projectiles and natural invention. We will create our own and use them safely with total supervision. Living things die. Decay is how their nutrients continue the life cycle. Even non-living things disappear with time through processes like erosion. What forces contribute to the recycling of living and non-living things? Does death mark the end of something, or the beginning? Does anything truly last forever? 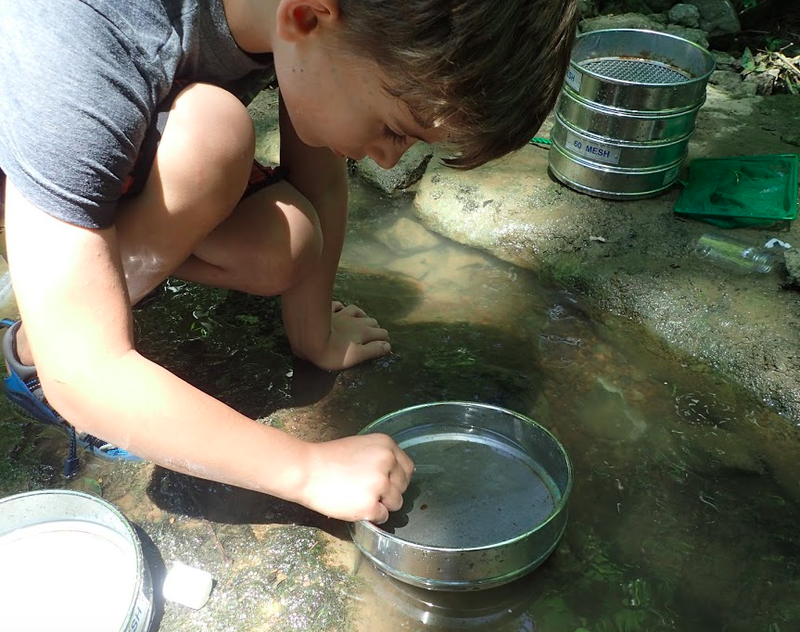 We invite you to explore the natural mystery of such transformations and the incredible forces that help power the decomposition of our world as we get muddy and wet. Spa days are days where we can relax our bodies and refresh our minds. Spa days allow for reflection and self-exploration. Most importantly, they nurture our wellbeing. How do children define wellbeing? What things and practices make us feel relaxed and refreshed? What does it mean to take care of ourselves? How can we take care of each other? It is time to play games. All of your favorite games. We have an extensive collection of board games, card games, collaborative group games, and sports. We plan to play games you love and then act them out. Yes you can be a Pokemon! To me, photography is an art of observation. It’s about finding something interesting in an ordinary place… I’ve found it has little to do with the things you see and everything to do with the way you see them.” — Elliott Erwitt. Our photography camp is a way for children to engage with the natural environment through a new lens. How do cameras change children’s experience of nature? What things do they notice? What do they focus on? How do they interpret their own photographs? This camp will change children’s ideas of reality and perception. Since the beginning of time, humans have told stories around the campfire. Every culture offers ancient tales explaining the mysteries of the natural world, recounting significant events, and guiding each other with wisdom learned from experience. After hearing stories from around the world, students this week will try their hand at this ancient craft. We will use simple improv techniques and the medium of clay to draw out our own stories and practice their telling down at our very own watering hole (creek play:-)). As children create a story they learn to organize their thoughts and use written language to communicate in a variety of ways. This week the children will be focusing on how to get their story onto paper. With the guidance of our instructors, all children, regardless of penmanship and letter recognition or grammatical abilities, will write their own book.